Scholarship funds are an easy way to support continuing education in our community. 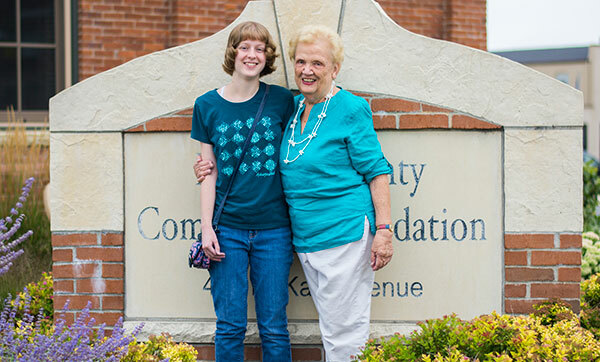 To date, over 70 scholarship funds exist at the DeKalb County Community Foundation. The majority of these scholarships are administered through local high schools. Please contact a school counselor at your local high school for application information. The scholarship opportunities below are the only scholarships administered through the Community Foundation. Application length and requirements vary between each. Subscribe to the our e-newsletter "What Gives!" to know when scholarship applications are available. Please be aware, all recipients of DeKalb County Community Foundation held scholarships must provide a completed Scholarship Acceptance Form. For questions or additional information, please contact Grants & Community Initiatives Manager Marc Hooks at 815-748-5383 or grants@dekalbccf.org. See recent recipients and learn a little more about scholarship opportunities! The CHS Elburn Scholarship is available for high school graduates and current undergraduate students at an accredited college or university. Applicants must be a family member of an eligible CHS Elburn customer or a family member of a CHS Elburn employee. View guidelines. Applications available in spring 2020. Fourteen CHS Elburn Scholarships were awarded in 2018. Each student received $1,000 in educational support towards an accredited college or university. 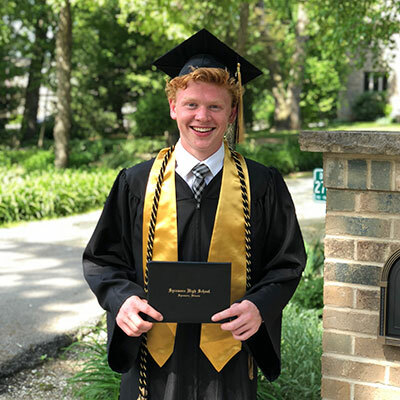 High school graduates of a DeKalb County high school planning to pursue a career in the field of music are eligible to apply for the Palmer Family Music Education Scholarship. The scholarship will be awarded by a committee composed of several individuals from various musical backgrounds and representing many communities throughout DeKalb County. View guidelines. Applications available in spring 2020. 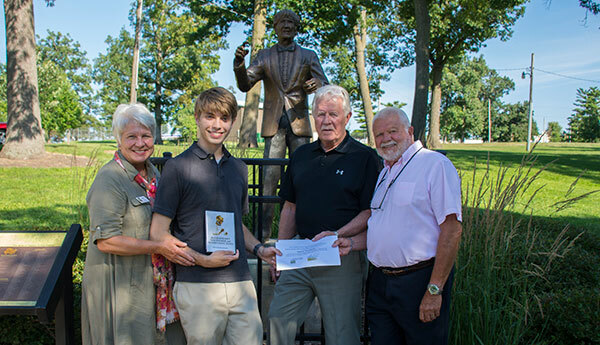 Palmer Family Music Education Scholarship recipient Dylan Propheter with Anita Zurbrugg, Roger Palmer, and Gary Palmer. Accepting applications through June 23, 2019. The Renaissance Scholarship offers a $1,000 initial scholarship renewable for up to three years to an individual returning to school for his or her undergraduate degree after being a part of the work force. Applications available in spring 2019. Renaissance Scholarship recipient Adriana Aumann-Weyenberg and donor Yvonne Johnson. Accepting applications through June 23, 2019. The Spinoso Masters Scholarship provides a scholarship for up to $10,000 to a deserving student to cover tuition costs of post-undergraduate or masters studies. Eligible applicants must have graduated from a DeKalb County High School but do not need to currently live in DeKalb County. 2018 Spinoso Masters Scholarship recipients Katharine Denius, Kelsey Schrader, Ryan Schultz, and Samantha Volk. Eligible applicants to the Harold P. Wells Scholarship are employees and family members of the employees of the DeKalb Fire Department and graduates of the Kishwaukee Education Consortium's Fire Science Program. The Wells Scholarship can be used to offset expenses for any educational purpose. Some examples include college tuition, any fire course, educational short courses, conferences and camps, such as music and space camp, etc. View guidelines. Applications available in spring 2020. The Community Services Block Grant scholarships are not granted through the DeKalb County Community Foundation. CSBG Scholarship are made possible through DeKalb County Community Action. CSBG Scholarships are designed to help low-income DeKalb County residents pay for post-secondary educational expenses. Apply or learn more about the CSBG Scholarship.